The garden also has My Garden and Explore modes where students can build the garden with items from different categories and view the sensory (5 senses-related) experiences in the garden, respectively. 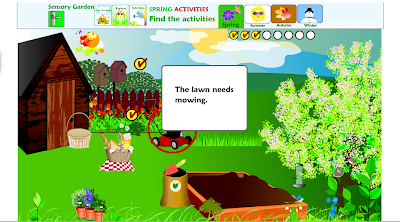 The Activities mode is a great context to model verbs, temporals and causal constructions: "The lawn needs mowing BECAUSE the grass is long!" By building their own garden, students will practice using categories and descriptive skills, and perhaps explaining why they made certain choices. The site is an engaging way to reinforce abstract curriculum around months, seasons, and the 5 Senses. This site IS NOT iPad-friendly as it is flash-based. Thank you to Teaching Students with Learning Difficulties for highlighting this resource. I love this site! I meant to post about it, but now I don't need to post. You saved me some work again! Thanks, Sean!! This is a wonderful post!! Just put the link on the FB page of the S-LPs that work in my province!! 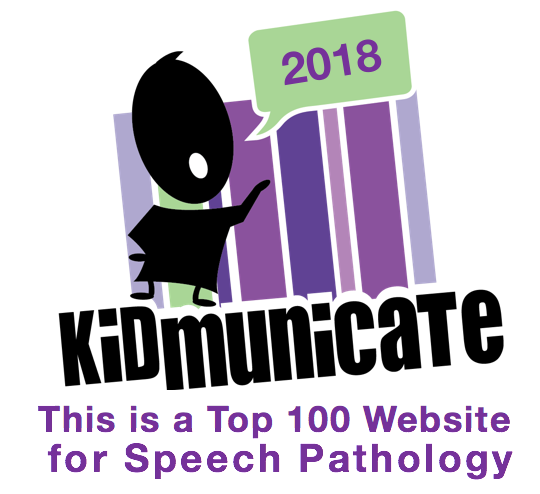 Thanks for continuing to share all of these wonderful resources!